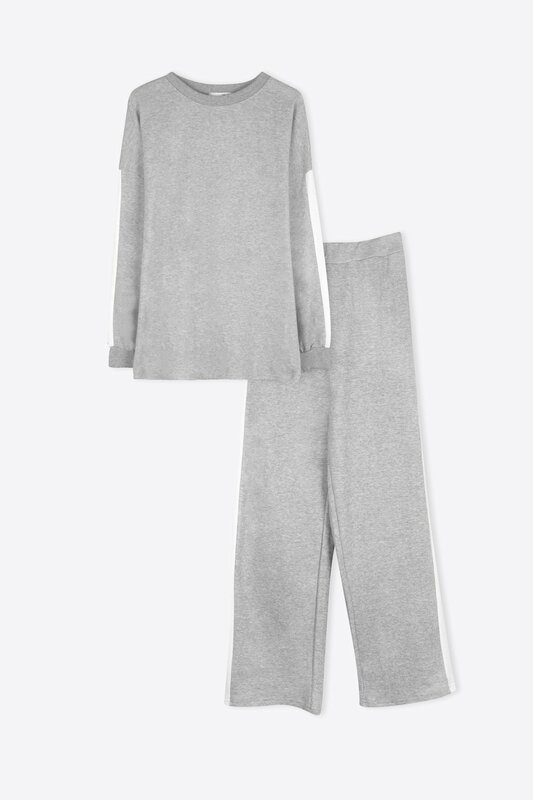 This extremely comfortable set is constructed of a stretchy cotton blend material. 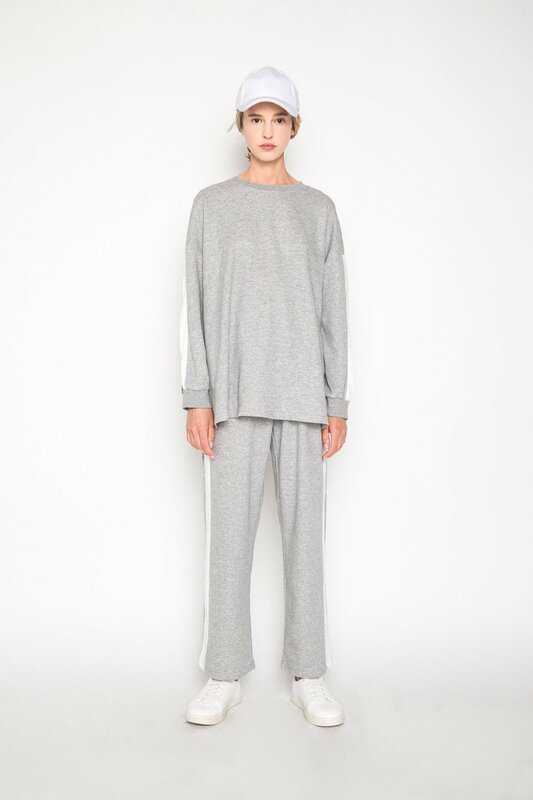 The top features 3/4 length sleeves with elastic hemlines, a crew neckline, athletic inspired stripes down each arm, and side slits. The pants are made with an elastic waist, straight leg, and matching side stripes. Wear these pieces together, or separately for endless versatility.